Killer upgrade for your new Losi LST 3XL-E. This is for 1 pair of our 8000 2S 7.4v lipo packs. One left side and one right side custom wired to fit the 3XL-E battery compartment. No tray modifications required. 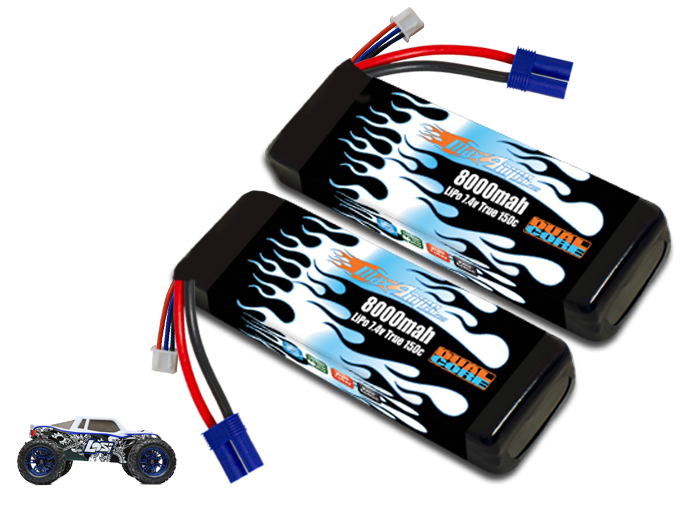 These packs will make your Losi LST 3XL-E scream! Note: Stock plug on 3XL-E is EC5.